Another great camping season is just around the corner. For those of you in the market for an RV I would like to offer my top 10 tips to help you make better informed RV buying decisions. 1) If you’re not absolutely sure an RV is right for you try renting one before you buy. Rule number one for owning an RV is you have to use it. It can be difficult to determine if an RV is right for you if you have never used one. Plan a weekend or week-long trip and rent an RV to try it out first. Renting an RV can be a good indicator to gauge if an RV is in your future. But I caution you, once you get the RV bug it’s hard to get rid of. Don't confuse not liking an RV with not understanding how to use the RV. 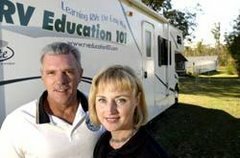 Prior to renting an RV I recommend you purchase a RV training video on the type RV you plan to rent so you can thoroughly enjoy the rental experience. 2) Know which type of RV is right for you and your family before you buy. This is a major consideration to give some thought to before you purchase an RV. To assist you with making this decision consider how you plan to use the RV and what your budget is. If you only plan to take a couple of weekend trips, or use it for one week out of the year, a used RV might be best for you. And, it won’t do you any good to own an RV if there isn’t enough money left in the budget to enjoy it. 4) If you buy a towable RV make sure you have a tow vehicle that can safely tow it. You might find your dream RV only to discover your tow vehicle can’t tow it. If you already own the vehicle you plan to tow with determine how much it can safely tow and shop for an RV based on that information. If you plan to buy a tow vehicle select the travel trailer or fifth wheel trailer first, then buy a vehicle that can safely tow it. RV dealerships should have trained personnel to assist you with matching the tow vehicle and trailer. Check out our "Trailer Towing DVD" or our "Tow your 5th Wheel Like a Pro DVD" before you purchase your travel trailer or 5th wheel. 5) If you plan to purchase a motorized RV drive it before you buy it. Driving a motorhome for the first time can be a little intimidating, but it’s important that you test drive it before you buy it. You want a motorhome that you feel comfortable driving because you will spend a lot of time behind the wheel. Check out all of the controls, the view, mirrors and make sure it performs the way you expect it to. To learn more about dring an RV check out our "Drive your Motorhome Like a Pro DVD"
Buying an RV is a major investment, similar to an automobile or your home. You need to do your research before you buy. There are lots of RV manufacturers and RV brands to choose from. You want an RV dealer and a manufacturer that will stand behind the product after the sale. You can research manufacturers on the internet, request brochures, take factory tours and attend local RV shows to learn more about all of the options you have. A reputable RV dealership will have a professional sales, parts and service staff. This is an important consideration during and after the purchase of your RV. 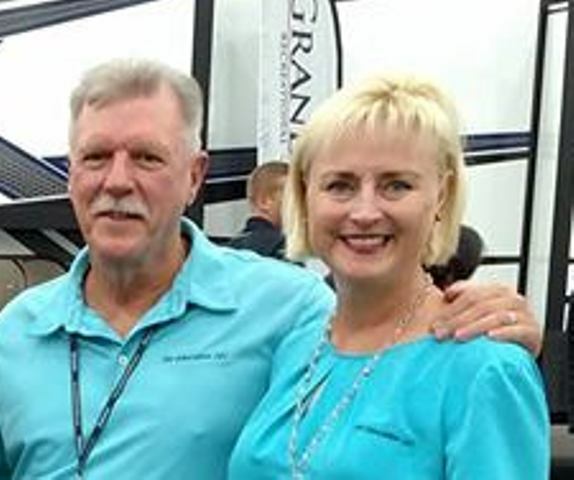 It’s important that you select the right type of RV, floorplan and brand for you and your family, and that there are qualified technicians to service the unit after the sale. A reputable RV dealership can make your RV ownership experiences much more pleasurable. When you purchase your RV consider some other factors that will help protect your investment. I recommend looking into some type of extended service contract that goes beyond the manufacturer warranty period. There are numerous plans available, so shop around for the best deal. Get specialized RV insurance coverage. It’s different from your home and auto policy. When you need specialized coverage you’ll be glad you have it. 9) Now that you own it, where can you use it? The Recreation Vehicle Industry Association, RVIA states that there are approximately 8,500 RV parks and campgrounds located near national parks and forests, popular tourist attractions, along interstates and in cities and small towns. With the Internet you have instant access to most of these public and private campgrounds, RV Parks and RV Resorts. Other good resources are travel guides, magazines, campground directories and state tourism boards to help plan your next RV trip. I mentioned earlier if you own an RV you need to use it, otherwise it’s just a large lawn ornament. So, pack up the RV, the kids and the pets and head out to explore this wonderful country we live in and build some lasting memories with family and friends.